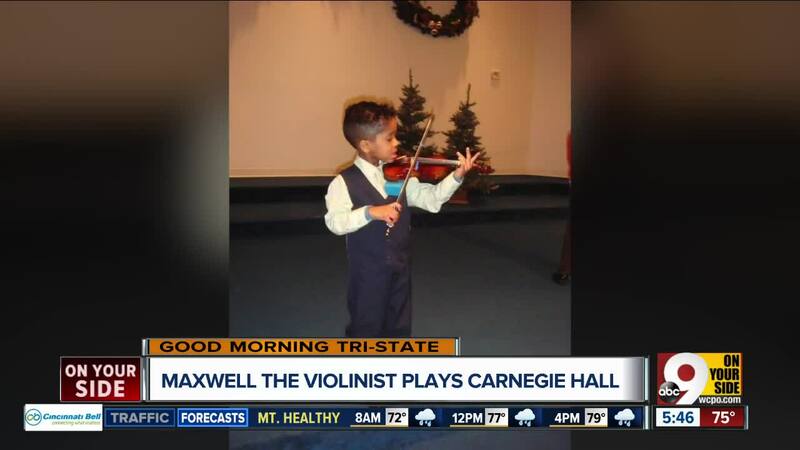 CINCINNATI -- Fourteen-year-old Maxwell Fairman started playing the violin at age 4, and his talent and passion for playing have taken him across he country. He’s played Carnegie Hall twice, and at the White House in 2016. He practices like an athlete, putting in two to four hours a day. After he gets his homework done, of course. His talent was recognized early. He was one of the youngest members of the Cincinnati Symphony Youth Orchestra Nouveau Chamber Players. Hear it straight from the source. Watch the video above to see Maxwell in action.